Thursday, March 17, 2016 12:00 pm. 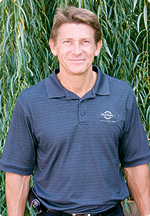 RANDY BOYD, founder and chairman of Knoxville-based Radio Systems Corporation, has solidified his control of the company, which reported to the SEC yesterday completion of a $231MM transaction by Radio Systems Holdings. Boyd, 56, is commissioner of Gov. Bill Haslam's department of economic and community development (ECD), as well as chairman of the board of Launch Tennessee (Tennessee Technology Development Corporation, TTDC). Boyd now holds 99.7% of the company's common shares, while private-equity firm TSG Consumer Partners holds preferred shares representing a one-third interest, said Radio Systems' CFO Chris Chandler in an interview with Venture Nashville. Radio Systems this year projects $380MM sales, reflecting projected 5% organic growth, said Chandler. It has about 700 employees, including about 70 engineers. Roughly 100 of its workforce are based outside the U.S.
VNC previously reported Radio Systems produces more than 4,600 product units, including items for electronic pet containment, pet training and pet doors. Its brands include Invisible Fence, PetSafe and SportDOG. Its products are sold through mass merchandisers, pet superstores, catalogs and distributors. TSG also held a stake in Radio Systems in 2006-09 after investing $30MM, and was eventually taken out by the company, according to media reports at the time. Today, the TSG portfolio page also shows an interest in DogsWell, a food and treats maker. ► For more depth on Boyd/Radio Systems, please see our January 2015 story here. The filing yesterday showed roughly $40.5MM from the transaction's gross proceeds having been allocated for payments to executive officers and directors. 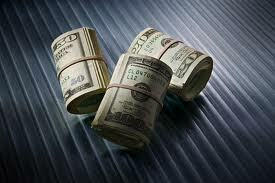 No commissions were reported paid on the offering of equity and/or option/warrant/rights securities. The reduction of its cap table to two entries does not signal preparation for a sale or IPO, said Chandler, adding that the company has no interest in going public. As previously reported, the company once shelf-registered an IPO, but eventually withdrew it. The company completed eight M&A deals during roughly 2008-12, has done a couple tuck-ins since then, and is likely to complete another buy by month's-end that would benefit its invisible-fence network, said Chandler. Approaches regarding potential acquisitions are welcomed, but principals and advisors should be advised that the company typically makes buys that address a known customer or operational demand and strongly prefers targets that hold one or more patents. Radio Systems, which holds more than 400 patents, is continually scouting proactively. 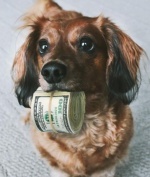 A recent report by Colorado-based SDR Ventures (pdf here) says the Pet industry is once again robust as a result of economic recovery, and suggests innovation is accorded a premium as consumers increasingly "humanize" their pets' roles in their households, and spend more on innovative games for pet learning and exercise, pet healthcare and more. Radio Systems is selective in acquisitions and has "never had an acquisition blow up," said Chandler. Multiples range 5x-6x and the company tends to buy companies with $2MM to $6MM EBITDA, he said. Its slower pace of acquisitions in recent years has resulted from the paucity of attractive targets, Chandler said. Radio Systems' transactions are driven internally and supported by attorneys with Nashville-based Waller Lansden, said Chandler. In late 2012, a sector analyst wrote that with $270MM revenue and estimated 18.5-20% EBITDA margin, Radio Systems might have an enterprise value of as much as $550MM, with up to $55MM trailing EBITDA. Extrapolating today from that earlier speculative estimate would suggest trailing EBITDA could now be north of $75MM. After accepting Gov. Haslam's invitation to serve as ECD commissioner, Boyd named Willie Wallace, formerly COO, to serve as Radio Systems' CEO.